Solsona (cat. 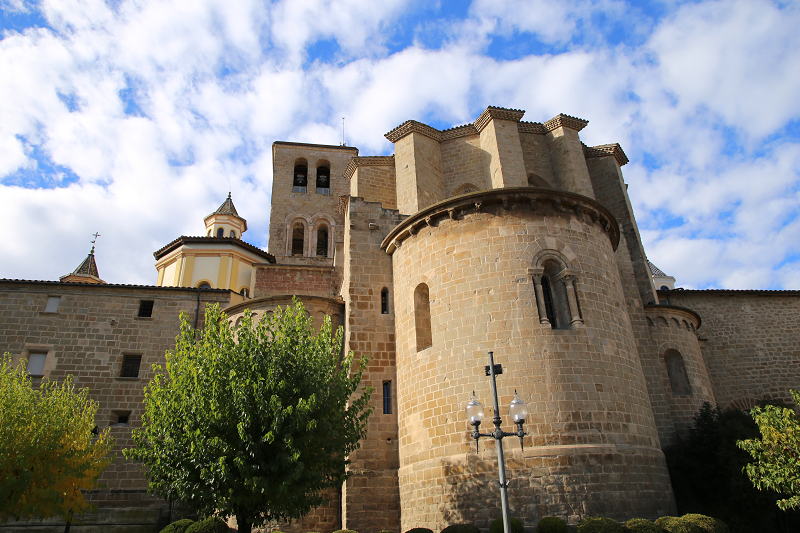 Solsona) is the main city and municipality of the Solsonès comarca (cat. Solsonès) in the Catalan province of Lleida (cat. 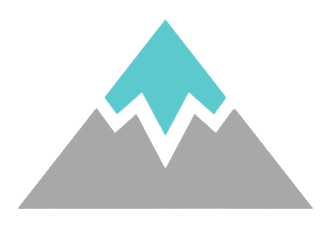 Lleida). It is located on the Solsones plateau, in the very center of the comarca and on all sides, except the north, it is surrounded by the territory of the municipality of Olius (cat. Olius). And from the north it is adjoined by the municipality of Lladurs (ct. Lladurs) and the Miravella enclave (cat. Miravella) is interspersed. Francesco Ribalta (cat. Francesc Ribalta) is one of the most famous names in Spain. The artist was born in Solsona on – Castell Street №18 (June 2, 1565). He was a Spanish painter of the Baroque period, mostly of religious subjects. The tenebrist style gathered a number of adherents in Spain, and was to influence the pre-eminent Baroque or Golden Age Spanish painters, especially Zurbarán, but also Velázquez and Murillo. Cathedral: It is known that in its place in 977 a pre-Romanesque church existed. From that time, there remain three apses, a bell tower, several fragments of a cloister and a wine cellar and a refectory of canons, which today are adapted for other purposes. The present cathedral is a building in the Gothic style, begun in the 13th century and completed in the 17th century. 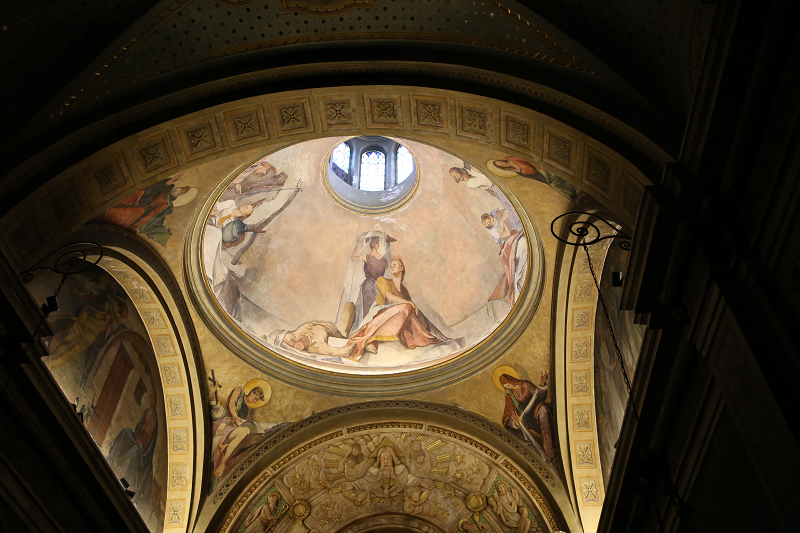 To the left of the transept is the chapel of Our Lady of the Most Merciful (cat. Capella de la Mercè), whose baroque image behind the altar belongs, apparently, to Carles Morato (cat. Carles Morató). On the right is the image of Our Lady of Cluastre (cat. Mare de Déu del Claustre) from the XII century. This sculpture is considered to be one of the most remarkable examples of Catalan Romanesque art. The frame of the statue was expanded in the twentieth century by August Font (cat. August Font) in the style of the XIX century with modern elements. City walls and gates: As the city grew, the first fortress wall was erected in the XI century, which in the XIV century, or rather in 1303, was replaced by another one, two meters thick and sixteen meters high. The remains of this wall, as well as three towers that have survived to the present day can still be seen in different places, for example, in the Val Calent (cat. Vall Calent) zone, where windows pierce the wall, and the upper edge of the wall turned into terraces. The inclusion of fortress walls in the fabric of residential buildings mainly occurred during the twentieth century. For access to the walled city, one had to pass through the gates, which were covered with wooden shutters for the night and opened at dawn. At present, there are three gates: Bridge Gate (cat. Portal del Pont), Llobera Gate (cat. Portal de Llobera) and Castle Gate (cat. Portal del Castell). The bridge gate, completed in 1805, turned into the main entrance to the city after a twelve-arch stone bridge was built in the 18th century. In the 17th century, in the era of frequent plague epidemics, the gate leading to Llobera Street (cat. 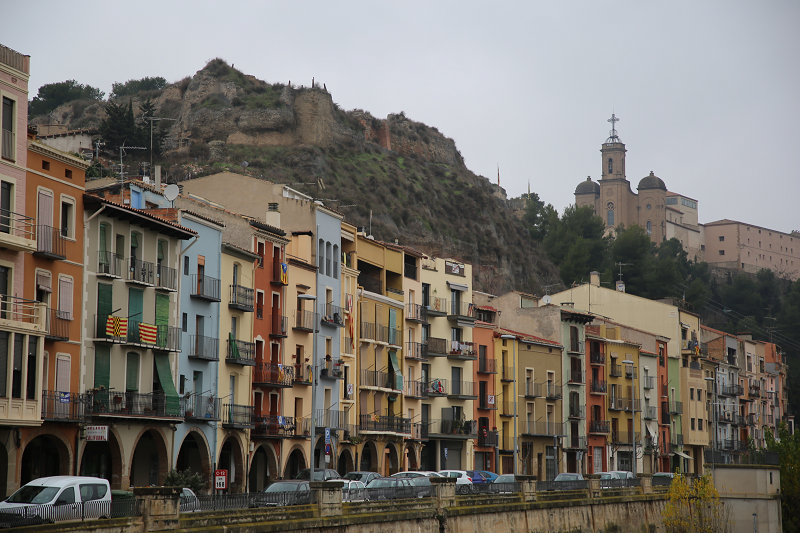 Llobera) was created: only residents of Solsona could enter through them – this was how they tried to protect themselves from infection. Above these gates in the XVIII century, a chapel was built in honour of St. Anne (cat. Santa Anna), which still exists. 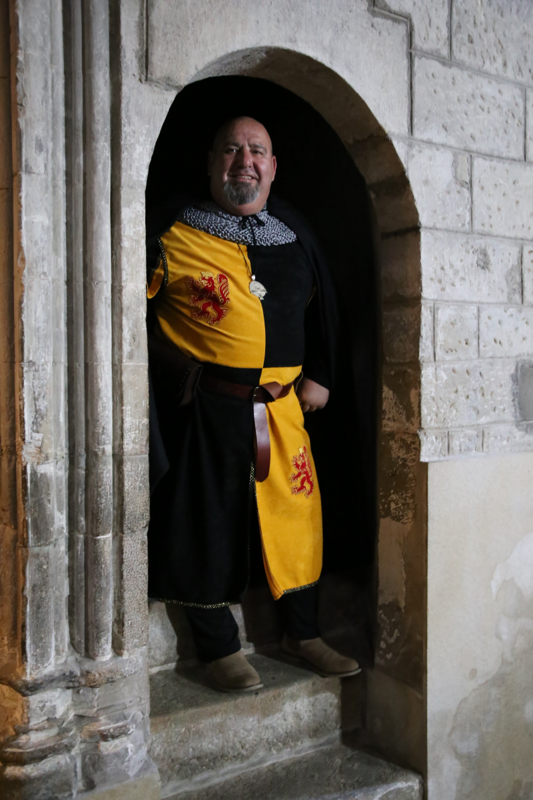 And the Castle Gate got its name because of the fact that the first castle of the city of Solsona was located right next to it – today it is the monastery and school of Arrels I (cat. Arrels I). The lords of the city solemnly entered into Solsona through this gate, but first they had to solemnly swear to observe its customs and privileges. Until the 18th century, these gates were the main entrances to the city. The Episcopal Palace (cat. 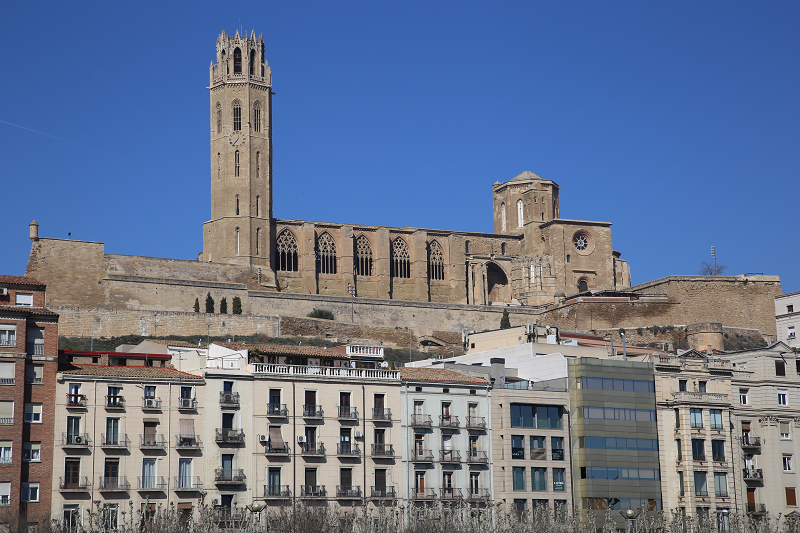 Palau Episcopal) and the Museum of the Diocese and Comarca (cat. 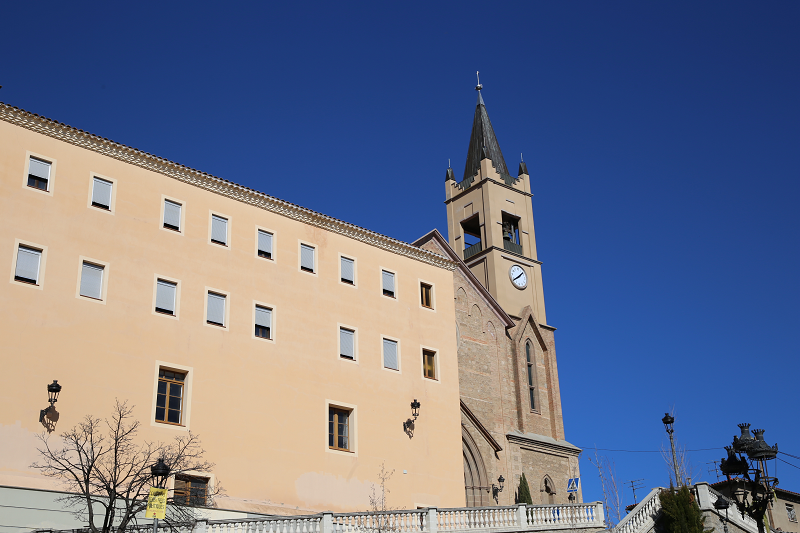 Museu Diocesà i Comarcal) Solsona: The building was built by Bishop Lasala (cat. Lasala) in the XVIII century. Its main facade, along with the facade of the Barcelona Palace of the Viceroles (cat. 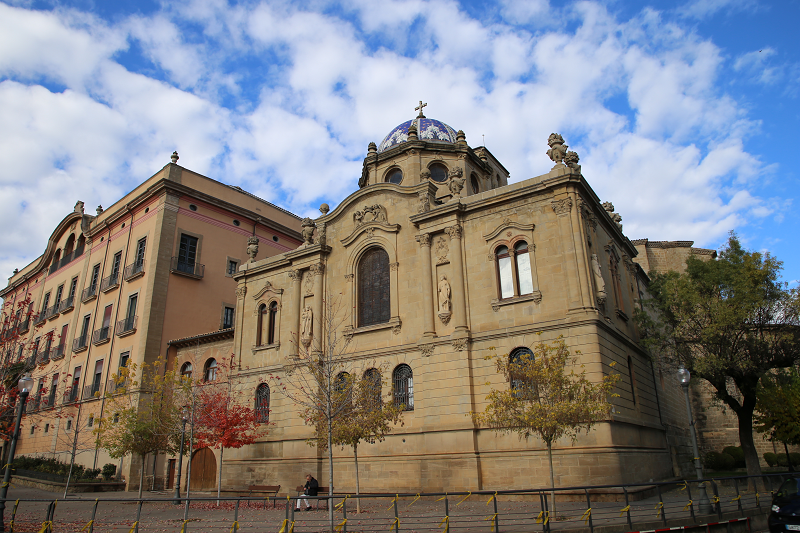 Palau de la Virreina) are the most outstanding examples of neoclassical Catalan architecture. 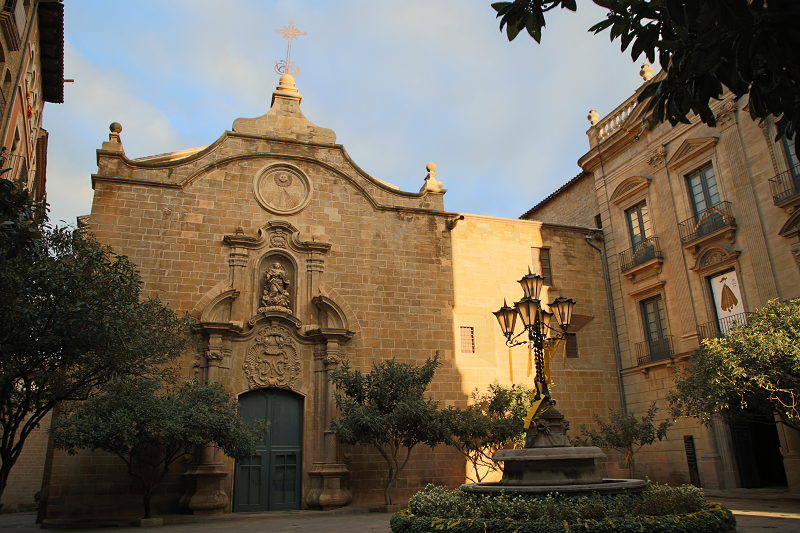 In the Episcopal Palace is the Museum of the Diocese and Comarca, one of the first diocesan museums of Catalonia, whose halls are occupied by exhibits talking about the prehistoric, Romanesque, Gothic, Renaissance and Baroque periods of culture. Of particular interest are the halls with sculptures carved out of salt mined in Cardona’s mines (cat. Cardona). Major Square (cat. Plaça Major) is the main square of the city, surrounded by porticoes, to which all the main arteries of the old city flow: Castell St. (cat. Carrer Castell), Llobera St. (cat. Carrer de Llobera) and Sant Miquel St. (cat. Carrer de Sant Miquel). 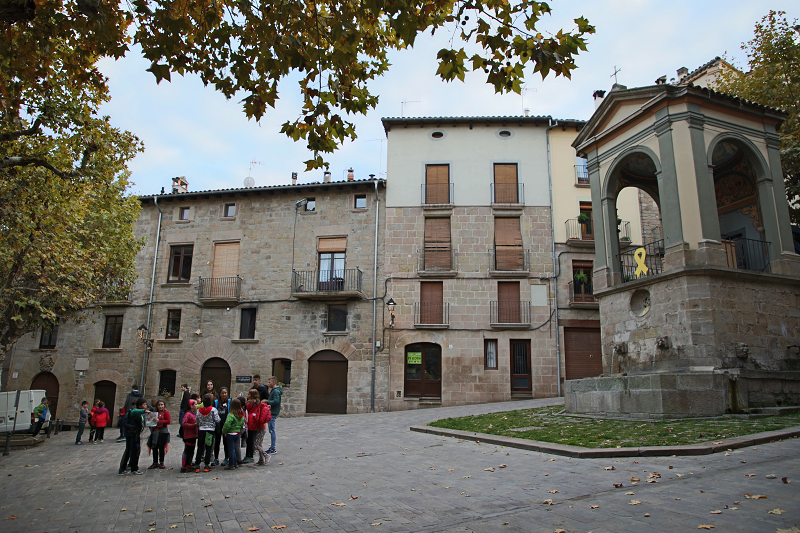 This is where the most popular Solsona festivals take place: the city’s patron saint days (cat. Festa Major), Carnival (cat. Carnaval), the Body of Christ festival (cat. Corpus), and also various fairs and a weekly market on Fridays. Of the buildings surrounding the area, I would like to specifically mention the Aguilar House (cat. 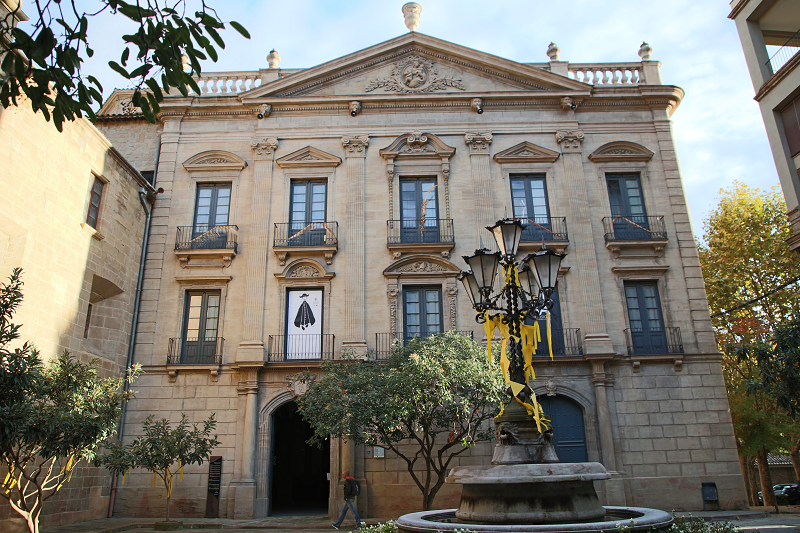 Ca l’Aguilar) – under number 5 (in the tourist guide) – a mansion in which several dynasties of merchants and nobles lived and where the exhibition hall is located today. Clock Tower (cat. Torre de les Hores): This tower dates back to 1500; Initially, it had two bells: one to ring the fire alarm, and the second for the time (for which it continues to be used today). 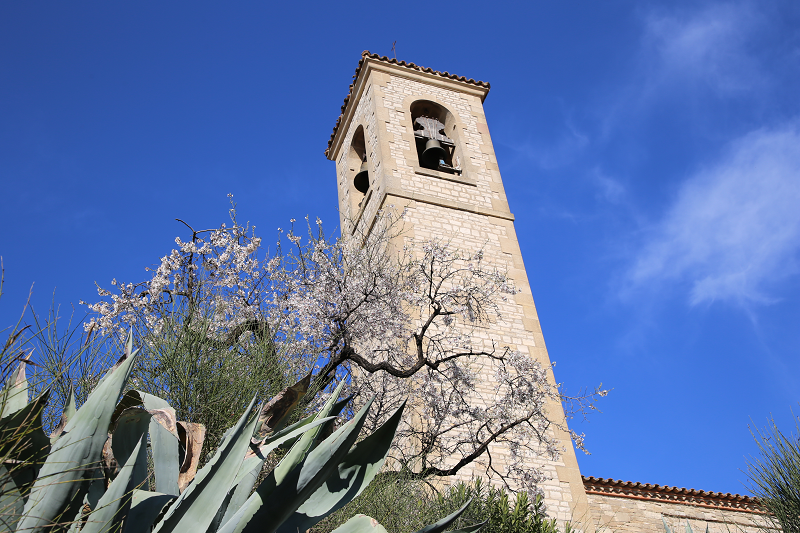 This bell tower is famous for the fact that the donkey is suspended on it during the days of the Carnival. This unusual tradition (with its accompanying legend) led the Solons to jokingly be called “donkey killers” (cat. Mata-rucs). Sant Joan square (cat. 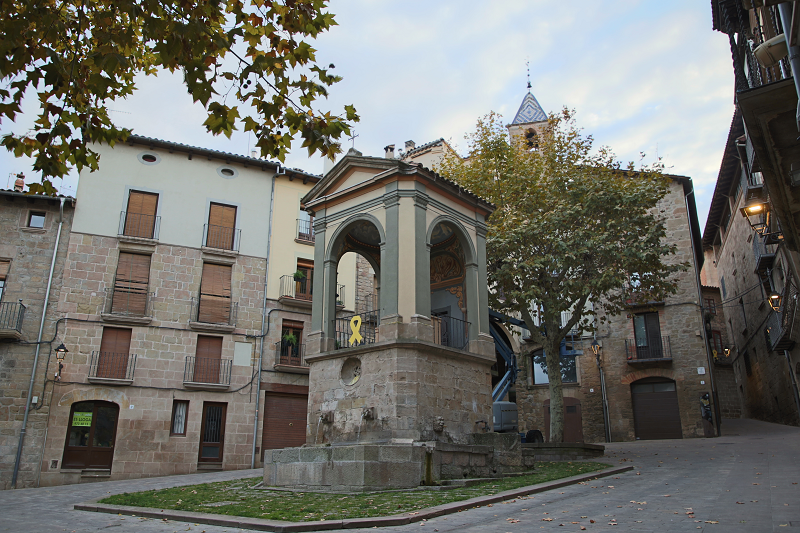 Plaça Sant Joan): Perhaps the Major Square is the most central in Solsona, but the symbol of the city is still Sant Joan square. 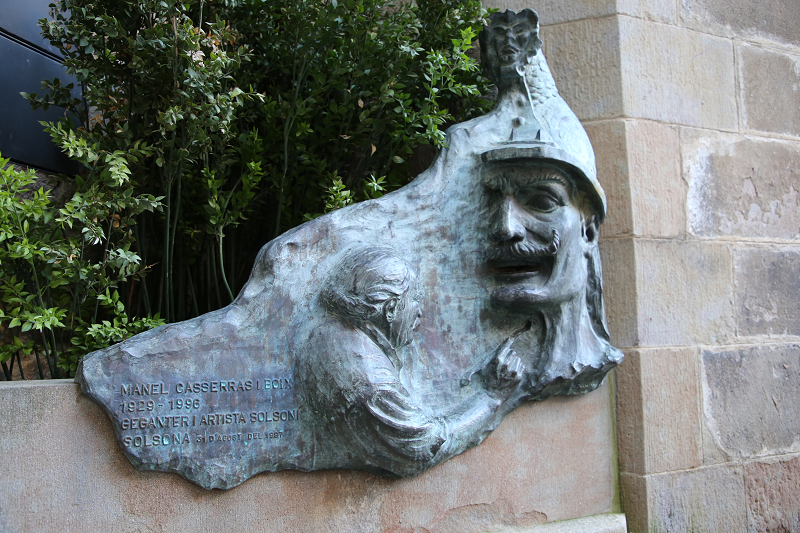 In its centre, there is a beautiful fountain, decorated with the words of the poem written by Joseph M. de Sagarra (cat. 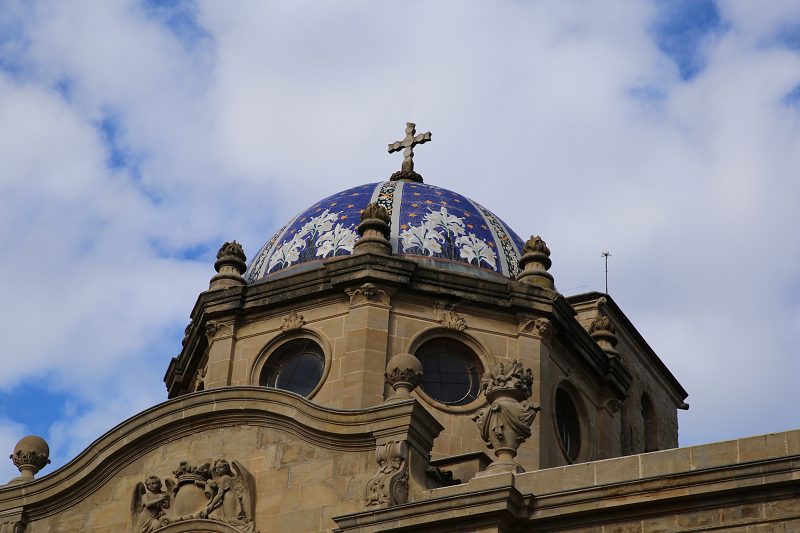 Josep M. de Sagarra) and topped with a chapel. The fountain appeared in the XV century and was initially called the Main Fountain (cat. Font Major). The chapel dedicated to St. John, was added in the XVIII century. On the back facade of the chapel, on a marble plaque, the poem “Memories of Solsona” (cat. Redord de Solsona) by the poet Josep Maria de Sagarra, who had been on short visits to one of the houses of this square, was carved. The area is surrounded by houses, of which Cabales House (cat. Cal Cabales) stands out in particular – the nest of one of the most distinguished families of Solsona, many generations of which have lived here for centuries. City Hall: The main entrance to Solsona’s City Hall (cat. 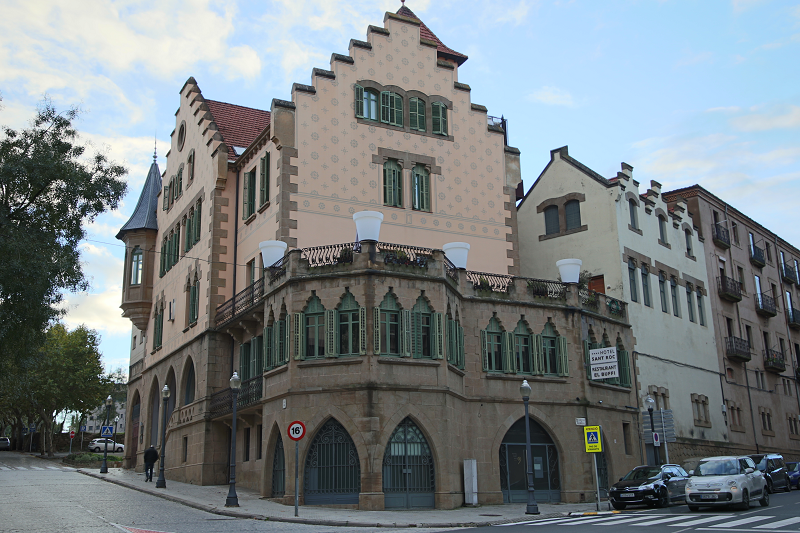 Casa de la Ciutat) is located along Castel Street, where the street is slightly wider. This little square is called the “City Hall Square” (cat. Plaça de l’Ajuntament). 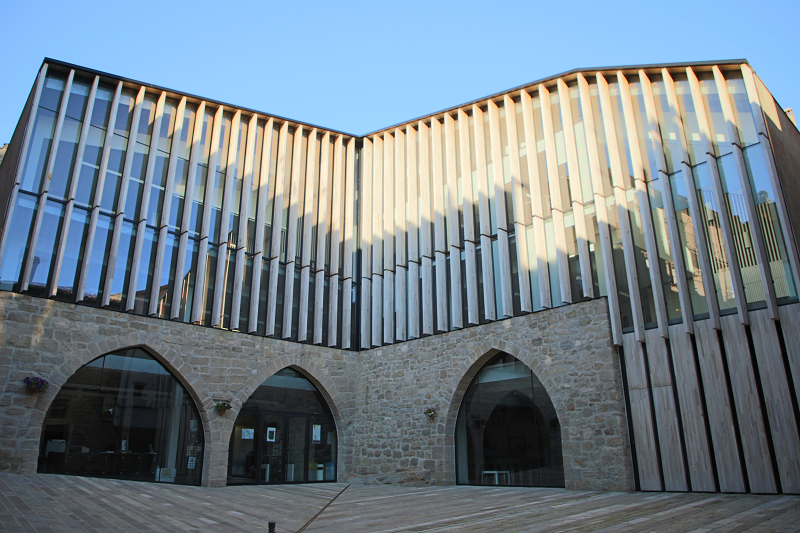 The building was built in the XVI century, in the Gothic style, but with elements of the Renaissance. The emblem of the city and the emblem of the merchant who built the building are on the facade. Llobera Palace (cat. Palau Llobera): Francesca de Llobera (cat. Francesca de Llobera), a merchant’s daughter, in her testament of 1411, commissioned her own funds to build a hospital for the poor. It is this hospital that we know today under the name of the Llobera Palace. 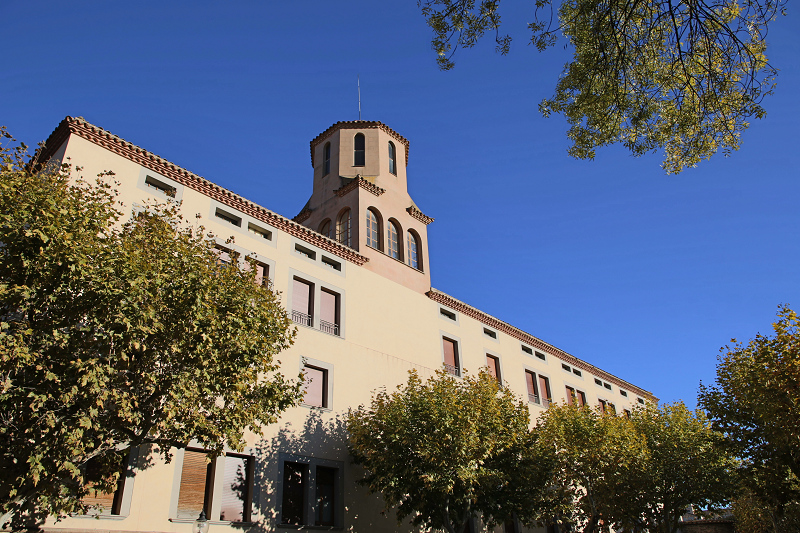 Over the centuries, the hospital, the Dominican college, the literary university, the seminary, the parish school, and, today, the Council of the Comarcal del Solsonès and the Information and Tourist Center occupy the building. Other Solsona sights: the Knife Museum (cat. Museu del Ganivet), old city laundries, the Morato House (cat. Casa Morató), the Sant Roque Hotel (cat. Sant Roc), the Fountain de la plaça de la Catedral, Ice Well (cat. Pou de Gel), water source Mare de la Font (cat. Mare de la Font), Plaza Sant Isidre (cat. Sant Isidre), Sant Joan (cat. Sant Joan) and Del Camp (cat. Del Camp). See also the List of Monuments of Solsona (cat. Llista de monuments de Solsona), the list of monuments included in the Inventory List of Architectural Catalan Heritage (cat. Inventari del Patrimoni Arquitectònic Català). It also includes objects listed in the Register of Cultural Heritage of All Hispanic Values (cat. 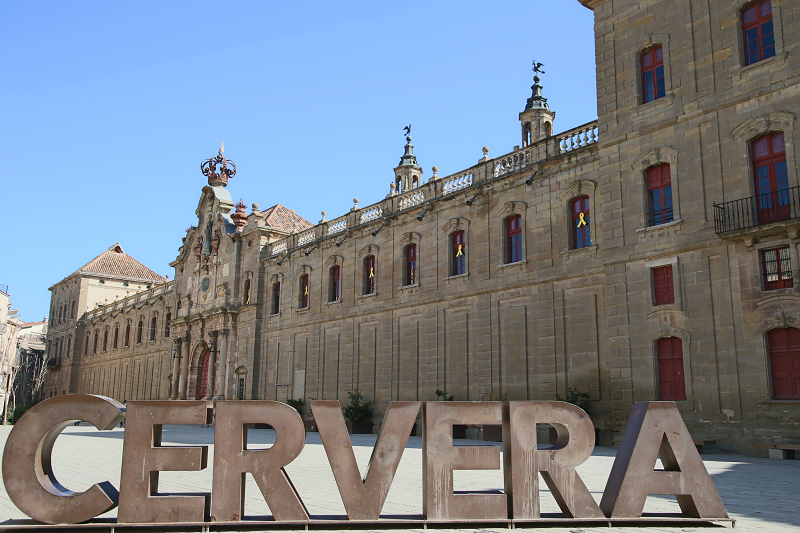 Registre de Béns Culturals d’Interès Nacional (BCIN)) with the classification of historical monuments and the Registry of Cultural Heritage of Local Values (cat. Béns Culturals d’Interès Local (BCIL)) in architectural character. It is impossible to understand the capital of the Solsones district without its festive and folklore heritage. Without a doubt, it is in this city that the most ancient manifestations of the folk culture of Catalonia are well preserved. 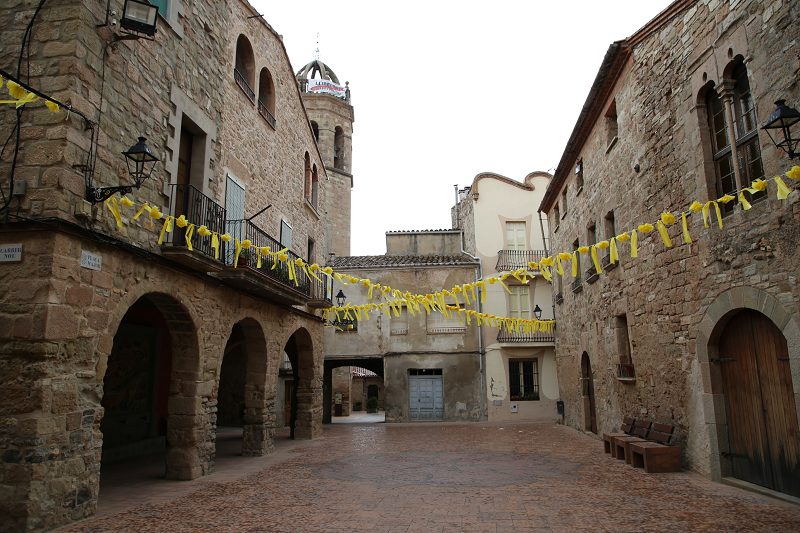 Solsona is one of the Catalan cities with the richest tradition of giant processions (cat. Gegants) and other characters. These ‘giants’ (large figures) appear on the streets of Solsona at three key points of the year: during the festival of the heavenly patroness of the city, the festival of the Body of Christ, and during the Carnival. The tradition of the presence of giants at festivals in honour of Our Lady of Cluastre (cat. Festes del Claustre) – the main festival of the city, held on September 7, 8 and 9, has been documented since 1653, when the Solsonians decided to proclaim the city of Our Lady of Cluastre as the patroness of the city after, according to legend, she saved the city from the plague. In the Baroque era, Solsona grew rapidly and became richer, and from year to year the folklore elements participating in the procession in honour of the Mother of God became more varied. The first mention of the giants dates back to 1675, Mulassa (cat. Mulassa) appears in 1691, the Dragon (cat. Drac) appears in 1692, the original image of which has survived to the present day. 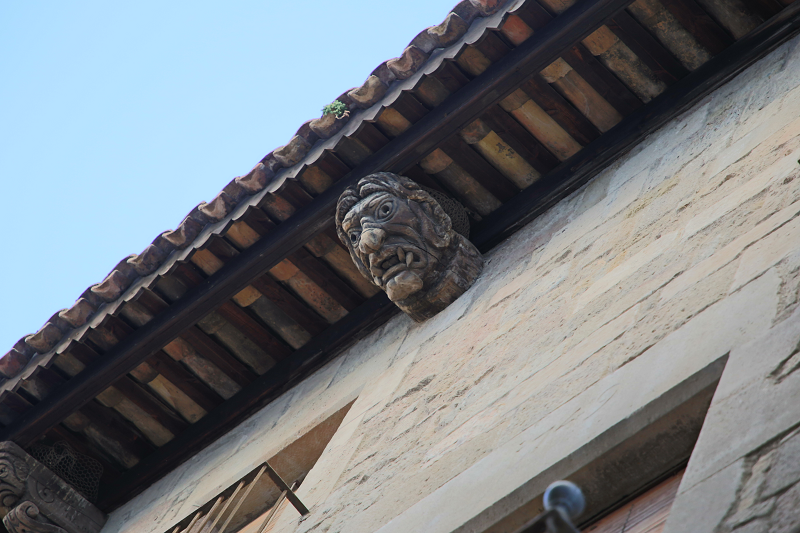 Today, the list of folklore characters accompanying the folk processions in Solsona consists of: two pairs of giants (old and young), a dragon, eagles (cat. Aligons), horses (cat. Cavallets), four dwarfs ( cat. cuatre nans), four bears (cat. cuatre óssos), a bull (cat. bou), muslās and groups of dancers with sticks (cat. ball de bastons): all together they undoubtedly represent one of the most magnificent manifestations of Catalan folklore. The Solsonian nickname “donkey killers” is associated with a legend. They say that a farmer lived in the city who wanted to feed his donkey with dandelions that grew on the roof of the bell tower. But instead of picking dandelions from the ground and lowering them to the ground, the farmer tied the donkey’s neck with a rope and began dragging him to the bell tower until he choked. 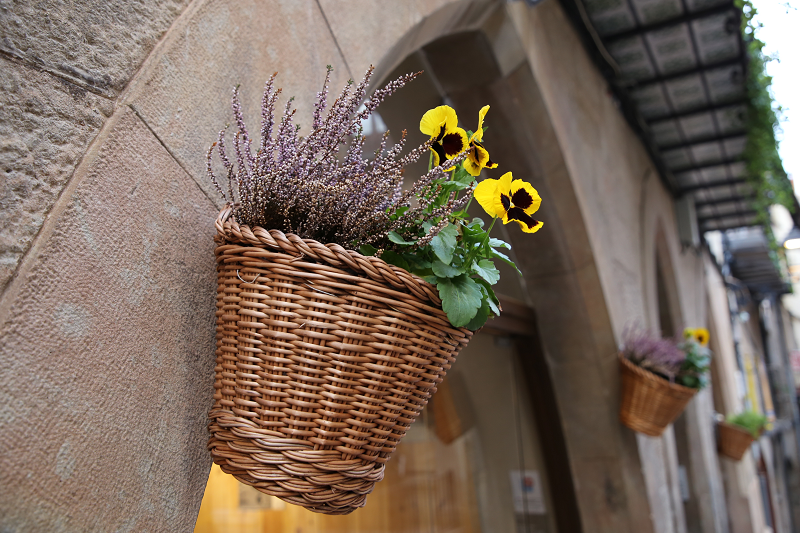 Shopping in Solsona is not a priority on the tourist program. Only on weekends city bazaars and fairs, which traditionally take place on weekends or on some public holidays in the main square, can be of tourist interest. At the fairs, in particular, you can come across exclusive products grown in the region. 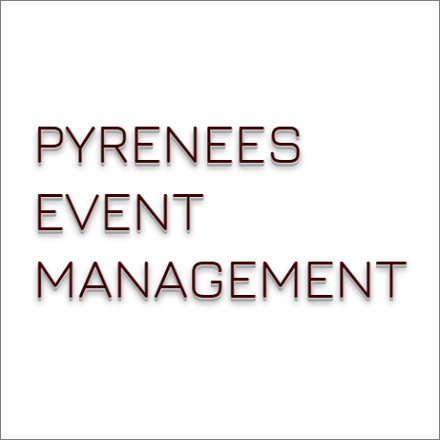 Among them are some well-known wine and cheese brands in Spain. In the city there are more than 10 restaurants of a fairly high quality. 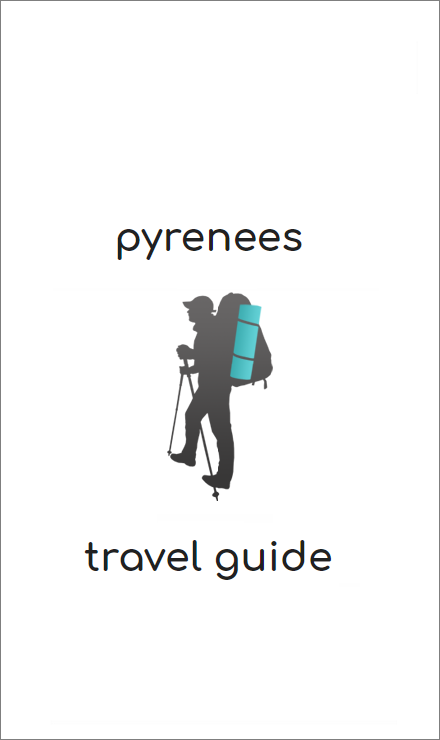 Prices are cheaper than in Barcelona and Lleida. Mostly located within the borders of the Old Town.